Welcome to S-S Electric Repair Shop, Inc.
Our expert electric service and sales professionals will help you find the right electric components and electric motor accessories for your repair or new installation requirements. If your electric motor, pump or controller is in need of repair or service, S-S Electric Repair Shop has all the repair tools and skills to meet your needs. We provide services including dynamic balancing, bearings and complete electric motor testing and diagnostics. S-S Electric Repair Shop, Inc. is an authorized dealer for many major brands of electric motors and electric motor products. Century (previously AOSmith), Baldor motors controls buffers and grinders, Packard, Fasco, GE, Marathon just to mention a few. Sump pumps, sewage pumps and wastewater pumps are also one of our specialties. 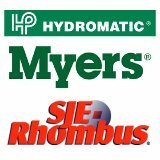 We sell and service many makes such as Hydromatic, Myers, Goulds and Zoeller. Additionally we handle controls for your pumping needs. From simple sump pump switches to sophisticated control panels. We sell controls from SJE Rhombus, ACI Controls, TECO and Packard. 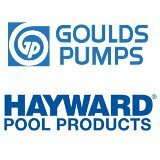 Pool pumps are another big part of our business. We service Hayward, Sta-Rite, Pentair and Marley. And don't forget spa pumps such as Vico, Waterway and Softub brands. Electric motor repairs or electric motor accessories. S-S Electric Repair Shop, Inc. is your source for all your electric motor needs. Stop by or give us a call today! Our experienced and friendly specialists are ready and waiting to serve you.